Your Dream Home Is Ready To Be Built In Prestigious Highland Creek Neighborhood On A Beautiful Pie Shaped Lot. In A Quiet Cul-De-Sac. Fully Fenced For Privacy, Your 3,174 Sq Ft, 2 Storey Home Has 4 Bedrms Each With Ensuite, 2nd Floor Laundry, Double Car Garage (22X19 Ft) & Finished Basement. All Finishes & Colours Can Be Customized To Suit Your Needs. 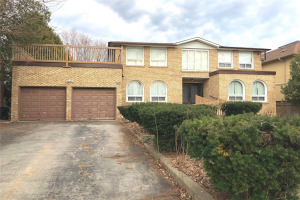 Short Drive To 401, University Of Toronto, Local Parks, Church, & Easy Access To Ttc. All Municipal Services Are Available At Front Of The Lot.